Every year the Dragon Boat Festival sees teams of rowers race long narrow boats down Hong Kong Harbour to the beat of a drum. An annual holiday across China falling in May or June, the festival is a time for banishing bad spirits and ushering in good luck. It dates back to 3rd Century when an old man, Qu Yuan became so disillusioned with the government at the time that he jumped into the river, drowning himself as a protest. Locals rushed to his aid and in a bid to save him paddled their boats while banging gongs and drums to scare anything in the river away that may harm Qu Yuan. 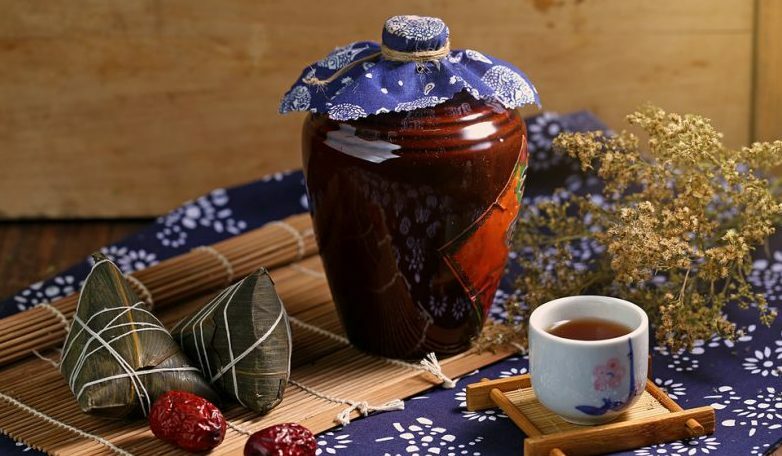 Like any Chinese festival there are auspicious customs observed – all of which are to encourage health and wellbeing. One such is xionhuang (or realgar) wine. 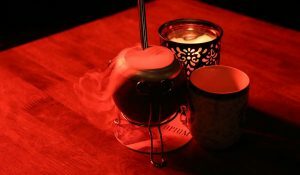 The ancient Chinese believed it was a magical tonic to ward off evil spirits and work as an antidote for poisons. Legend has it the wine would banish illnesses and make scars disappear. Folk would drink this mysterious brew during the festival and write the Chinese character for ‘king’ on their child’s foreheads with it. So what is xionhuang wine? It’s made from cereal and dosed with realgar – a yellowy-orange arsenic sulphide material. Yes, arsenic, you read that right. As it’s such a minute amount in the wine it has a very low toxicity and isn’t poisonous but it remains a controversial drink to this day. 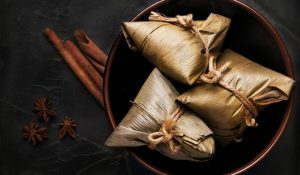 We suggest sticking to the other Dragon Boat Festival custom of consuming plenty of zongzi – delicious parcels of sticky rice wrapped in bamboo leaves. 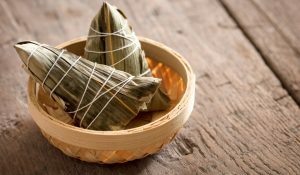 Why do Chinese people eat zongzi during duanwujie? And what has this to do with Dragon Boats?